Who Lived in America 50,000 Years Ago? A full page article by James Churchward. A long-forgotten language, giving the history of a hitherto unknown race, has been unearthed in Mexico. Slabs of stone and carved monuments give us at last the history of mankind on the American continent, so long hidden. These recently discovered tablets have resisted the deciphering efforts of the world’s most famous archaeologists. Through studies of that now sunken continent, the Land of Mu, the Motherland of Man, I have found the key and am able to tell in rough outline the story of a prehistoric race whose possible existence has been so long denied. Fifty thousand years ago, or more, before the early cave dwellers of Spain had inscribed their records in cavern paintings, and of course long before the first rudiments of civilization appeared in Egypt, a small craft sailed forth from the continent that then existed in the middle of the Pacific Ocean. It sailed into the rising sun, manned by a crew of blond sailors whose mil-white skin and blue eyes marked them as natives of the Land of Mu, the birthplace of mankind. After sailing for “a moon’s journey” (twenty-eight days) they sighted land – land which we now know as North America, but nameless then with no trace of human beings. The little crew found a safe landing at the mouth of one of the rivers that flow from the present Mexico territory into the Pacific Ocean. They explored the land, found it fertile, then returned to the Continent of Mu. They sailed eastward again, this time accompanied by a large band of fellow colonizers. From this beginning grew a great nation that flourished until overtaken by the catastrophe I shall describe. How do we know these things? Through the splendid archaeological work of William Niven, in Mexico City, over two thousand lava tablets have been found, embedded in pits and quarries near Mexico City. Great astonishment was expressed by world-famous archaeologists when they were confronted with these pieces of stone on which there were inscribed characters to them absolutely indecipherable. They surmised that here was some portentous message which might reveal the story of primitive ancient man in America. But it was still a mystery because they did not have the key. Fortunately I saw as I looked at these tablets that the secret was not to be kept from us after all. In the seventies of the nineteenth century I had spent laborious years deciphering strange scrolls found in India, scrolls that told of the Motherland of Man, Mu, that continent which was swallowed up by the waves of the Pacific. The characters on the Mexican tablets were the same as those I had seen in India! A little study convinced me that the men who had engraved the tablets were in close connection with Mu. Unfortunately one of the most important symbols – the eyes- cannot be deciphered in the companion tablet to the one here reproduced, as the carving is badly mutilated. If we could be sure they were closed eyes, we would know they symbolize the ancients’ “sleep” – in other words, death. But there are plenty of other symbols hidden in this elaborate carving. The rectangular mouth is the hieratical (sacred) letter “M” of the motherland, Mu. The chin is shaped like a square “U,” and from the top of the “U” branches extend out, ending in suns, one on each side. This lets us know that the story the serpent is trying to tell is concerned directly with earth, not the mysteries of heaven. Of course this does not demonstrate at length how I found the details of the story which I stated at the beginning of this article – that is too long a deciphering process to explain here. But it gives an idea of the type of symbol which I had to deal with and find the key to unlock. There are many more tablets which I have not yet deciphered, but enough is now known to piece out the heroic story of pre-historic man on our continent, the colonizers and daring sailors from the Land of Mu. It appears that the colonizers found all conditions favorable for them – at first. 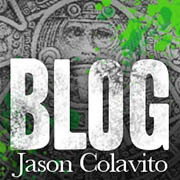 The population grew rapidly, great stone structures were erected in what we now call the Valley of Mexico, and a flourishing civilization was one its way, when, without warning, a tremendous cataclysmic wave washed in from the ocean and then swept out to see again, leaving behind it a chaos of boulders, gravel and sand, under which men, cattle and buildings were buried forever. Undaunted by this blow from nature, the Motherland sent out more of her sons to recolonize the land. Incredible as it may seem, the same drama was enacted three times more, and after each wave of destruction there came a fresh expedition of colonizers. Meanwhile events were shaping themselves underneath the continent in a way that was to put an end to this game of destruction and reconstruction. A great gas chamber, hundreds of miles long, was being tapped under the valley – a gas chamber of the same kind that proved the final undoing of the Motherland itself. It was tapped by passages leading from active volcanic centres still lower down. We do not know the exact process, but we can be sure that the valley crust at last split in several places, broken by the enormous pressure of the gases beneath and the fighting civilization found itself confronted, not with a tidal wave of water but with waves of molten lava which scorched the countryside. Then the valley floor, weakened throughout, collapsed altogether, and prehistoric man of America disappeared into a bottomless gulf of flame. The few survivors, from whom we get the fragmentary records of the volcanic stone tablets, were doubtless unable to rebuild a civilization on what was left of their land. Meanwhile the Motherland too sank from sight beneath the ocean, and the story drew to its close. It is not to be wondered at, then, that orthodox scientific doctrine has held that America was never the scene of very early human activity. Nature had closed the book of records with a seal of steam and fire, and it is only now that we have permitted to reopen it. Too much credit cannot be given to Niven for his painstaking, often discouraging work in excavating around obscure little Mexican villages and farms. Without this essential discovery, mankind might have gone on indefinitely believing that America was discovered only at a comparatively late period in our geological history. Will we find this far-off civilization possessed may characteristics of our own? Will we find that its people were so cultured, so advanced in intelligence that they may take their place beside us to-day and not be regarded as savages? Did they master secrets of nature, tens of thousands of years ago, that were lost in the cataclysm, never to be rediscovered? We know that the land whence they originally came, Mu, reached a high level of achievement before its work was blotted out in its collapse into a gas chamber. Answers to these questions await a further analysis of the Mexican lava tablets. It seems to me not impossible that when the record is finally told, at least some of the answers will be in the affirmative. This entry was posted in James Churchward. Bookmark the permalink. Thank you for your continuing work on the subject of Mu. It is a shame that these discoveries (I’ve read Niven’s book) have not been investigated and documented publicly, but economies and world wars have a way of derailing efforts and pulling things out of the public eye. Nevertheless, there is something about the nature of this ancient civilization that is unwelcome among the scientific and political establishment that has followed the great depression to the present day. There is no sane and legitimate reason why these discoveries should not have been followed up. I suspect that the controlled (faked) discovery of an ancient origin of man would have an extremely powerful political impact with regard to the current status and power of world religions. If the right kind of discoveries were made, it would throw the foundations of people’s beliefs into a chaos that would allow for a major shift in world power. For this reason, I doubt that any energy will be committed from official channels toward restoring or continuing legitimate research and discovery along the lines that Col. Churchward started (at least in the political climate we are living in now). Sincere academic efforts like yours are the only way that further knowledge will come of this, and it may become particularly difficult if faked discoveries are staged. Please don’t give up – no matter how buried the truth gets, or how unpopular it becomes, Col. Churchward found something important. Even if he was the only one at the time who could decipher symbol language, the fact is that these artifacts existed; they were documented and there were credible witnesses of the highest integrity. Anyone with a science degree can sit in a chair in Brazil and predict that Atlantis will be found in the South China sea. Churchward and Niven had real evidence on their hands, and lots of it. We must keep in mind over the coming years that their discoveries are part of our reality, and they come from a prehistoric period which actually happened.